Extra-large, whole cut Tilapia fish sticks. 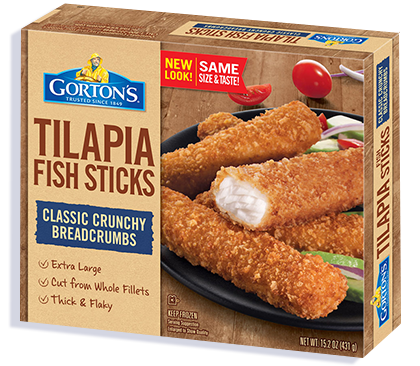 Our extra-large Premium Tilapia Fish Sticks combine the casual crunchiness of classic fish sticks with the palate-pleasing taste of tilapia. In other words, a match made in seafood heaven. 35mg of EPA and DHA Omega-3 fatty acids per serving.